New crime channel True Crime is to launch on Freeview channel 60 on 22nd March. The channel, which is operated by Sony Pictures Television will focus on reality-based crime features with shows including Deadly Women, Crime 360, The Devil You Know and the 9/11 Faker. "True Crime will be a dedicated crime channel, where viewers who are fascinated by true life stories will be able to have everything in one place. The channel further builds on the success of our Freeview channel portfolio and marks our commitment to the UK television market." Sister channel True Entertainment was launched on Freeview (except Wales) in August 2013. Sky viewers will be able to see the channel on 185. 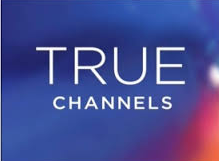 On Freesat, True Crime is scheduled to launch on channel 143, the current slot of sister channel More>Movies. True Crime's new Freeview home on channel 60 is currently used by Chart Show TV for viewers in the Greater Manchester area. Update - this channel has launched on Freeview, but only for viewers living in local TV coverage areas - i.e. if you can receive a local TV channel on either channel 8 or 23, you should receive channel 60 after a retune. What will happen to Chart Show TV? Presume remain in Manchester, just bumped to lowest available number (80-something) in the EPG. Another channel I won't watch. Of the channels to launch over the last couple of years Drama is probably the last one I actually watched anything on. Still can't find out if this channel is a 'new' channel or is replacing a channel already broadcasting (ie More>Movies).